Wayne Mark Rooney was born on 24th October 1985 in Croxteth, Liverpool. Son of Thomas Wayne Rooney and Jeanette Marie Rooney (Morrey), he grew up in Merseyside, attending De La Salle School along with his younger brothers, Graeme and John. Rooney joined Everton’s Youth team at the age of 10 when he signed a schoolboy contract and was earning £80 per week until the age of 16 when he made his professional debut. On 19th October 2002, Rooney scored his first professional goal in the Premier League when he scored for Everton against Arsenal, who were the current league champions at the time. That goal, which was scored only five days before his 17th birthday, made Rooney the youngest goal scorer in Premier League history, although he no longer holds that title. Rooney’s senior career with England began on 12 February 2003 when he went on in a friendly against Australia, substituting for Kieron Dyer. In 2004, and still only 18 years old, Rooney was signed by Manchester United in a £25.6 million deal, the highest recorded fee for a player under the age of 20. This was despite Everton’s pledge that they wouldn’t let him go for less than £50 million, but the club’s financial difficulties put pressure on them to let him go. Debuting for Manchester United on 28th September 2004, Rooney scored an impressive hat-trick against Fenerbahçe in a Champions League group stage and then went on to become Manchester United’s top scorer that season, earning the coveted Young Player of the Year Award. At the time of writing this (May 2012), Wayne Rooney has appeared for Manchester United a total of 365 times, scoring 182 goals. Of these, 129 goals were scored in the Premier League in 251 appearances. 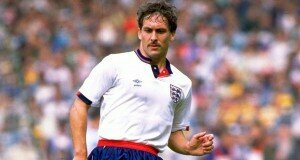 He has been capped 73 times for England and scored 28 goals.